An earlier appearance of the album on the monthly BITW rundown of Bandcamp releases has already been cited, and Mr Sumner had other things to say when first it appeared. What I love about both his statements – and John Shand’s one in the Sydney Morning Herald* – is that he totally gets my conception of the project as a meeting between two discrete groups, a genuine effort at collaboration. I never wanted anyone to think I’d just added some string accompaniment to what I was planning already to do with the improvising trio. When people perceive this about the recording I am delighted. I am gratified and flattered and really encouraged that people seem to have found my string trio writing so effective. Because I wasn’t schooled in it – at least, not officially. Arnold Schoenberg is not a composer for whom I have uncomplicated feelings; some of his work I admire greatly but I cannot maintain my enthusiasm throughout his oeuvre. Verklärte Nacht I find an inexcusable waste of time, and sometimes his serial music, while probably correct and all that, just isn’t so terribly involving. His String Trio op. 45 however I adore. This is the piece that, when once I was carrying on a little non-plussed about Schoenberg, John McCaughey recommended to get me with the program. I love its vigour and I love that Arnie gets so much done with only three instruments. Beethoven’s string quartets have long fascinated me, and the late ones are work that I continue to find staggering. That he came up with the things he did when he couldn’t even hear is humbling beyond estimation. I have heard and heard and heard these pieces – C-sharp minor being my absolute favourite – and looked at the scores and tried to get what I can from them. Ditto Bartok, as I’ve said before. And as it turns out almost everyone seems to think of string quartet when they think chamber music, and there are a good number of works by improvisers that append that line-up to whatever it is they have going already for a change in texture. It seemed to me though that to double the trio was a much better way to go about things – it seemed, you know, fair. And I had to be really careful with only three parts about which notes I chose, how I voice-led, all that sort of thing. I studied all this stuff really quite hard and tried to get a polyphonic thing going that I can’t actually do when I’m playing the piano. 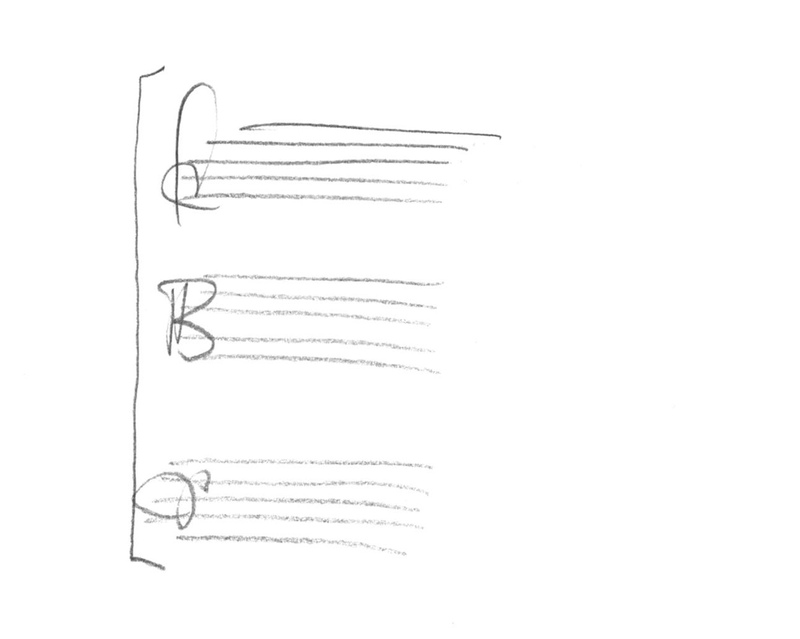 The string parts in ‘m.b.’ are not things that I have just transcribed from my piano playing, because I can’t play them. This feels in the manner of a very modest achievement. So I’m very proud of this piece, and of the band, and of the recording we made. I am very pleased to think of it finding receptive ears here and elsewhere. The double trio will be performing with whom on March 17 at the Jazzlab for the Melbourne Jazz Co-operative. We’d love to see you there. Ultimately the secret lies in the integration. It is one thing to put improvising and non-improvising musicians in the same room; another to avoid one group sounding like a river, while the other sounds merely like the banks. In his first attempt at writing fo a string trio Tim Stevens has succeeded superbly at allowing the banks to slide into the river, if you will. Part of his secret was not over-writing: the violin (Madeleine Jevons), viola (Phoebe Green) and cello (Naomi Wileman) often slip in and out of the pieces, as if offering commentary on the piano (Stevens), bass (Marty Holoubek) and drums (Tony Floyd) rather than just providing frameworks within which the improvising occurs. He has also shaped the compositions within this seven-part suite with more sophistication than a head-solos-head format, so there are notated dialogues between the two trios (notably on m.b. ), as well as accompanying of solos. The pervading mood is elegiac, like a series of bittersweet memories of lost love, with brighter sparks flaring from the piano. The strings are especially effective against the bass solos – suggesting they could have also been used to shade some drum features.